Actually HiC, if I recall I don't think much was gathered from your correct way to heel videos. There wasn't a whole lot to discern I seem to recall as a consensus. The one video I recall seemed to show 3 different dogs walking slowly somewhere behind you, not exactly a crisp heel. A dog that is correctly taught heel, and can execute it to the max, will cue on the handler's near knee and leg so well that if the dog is heeling on the left side and the handler stops and then starts walking again with its first step being taken with it's right leg and not left the dog remains where it stopped originally as the handler walks away. Also things like if the handler steps backwards, left leg first, the dog steps backwards too. That is a dog that has learned heeling to its maximum. Even without training to that level, a basic heel does not have a dog lagging behind (or going forward) the handler at all, the dog's head is right near the handler's knee and its speed matches the handler step for step. Now I've learned stuff from some of your videos and posts, I don't think heel was one of them though. And yes, you recently said "I do things wrong" (which I think most of us took as you implying the opposite. C'mon man, we've been on here with you long enough to know how you feel) and then more or less proceeded to put down anything other than your methods. Ryan, first I am going to give you a clue since it has escaped you. The three dogs were not "crisp" because the idea was to show how to train a dog to heel, not how to heel a trained dog. The dogs had never even had a collar or leash on. I thought even you could have figured that out especially since I did explain it. Next, I never put down how you guys train because almost all dogs have been trained using the various methods so it obviously works. I merely explain how I do it and add pics and videos to show it ......./and you and others immediately fall apart rather than ignore them. I just supply my methods hoping to induce some thought down the line. Problem is, something about what you see is upsetting and you fall apart. Why don't you just ignore my posts since you don't seem to understand them anyway. You can all block me so you don't have to look at them.....can't do that can you. Last edited by hicntry on Fri Jun 22, 2018 4:46 pm, edited 2 times in total. My point was that I think what you showed wasn't very helpful to most people actually trying to train heel. It was a video where I didn't think one could really understand exactly what the hell was going on. You just showed some dogs walking somewhere loosely behind you. Nobody's falling apart here except you. I know I'm not. If you would, please post those 3 videos again of the heeling. Maybe I'm forgetting something that was indeed more helpful for learning how to teach heeling. You should quit while you are ahead Ryan. It was 3 dogs....not 3 videos and I explained it step by step. Yes, they all started on a 15' lead because you never ....never mind. Look it up. I spend a good bit of time training a puppy its first year. I train for the plans I have for the pup, so if what I do differs from what you do with your pup, keep the that in mind. I want to do everything I can to set him up to be successful in the early stages of his hunting career. My approach is geared toward my intent to hunt a pup as often as I can it's first season. I segregate things into five areas. 1 exposure- plays heavily into the boldness needed for upland work and retrieving. With that in mind I put a puppy on birds and in varied habitats and conditions early and often. 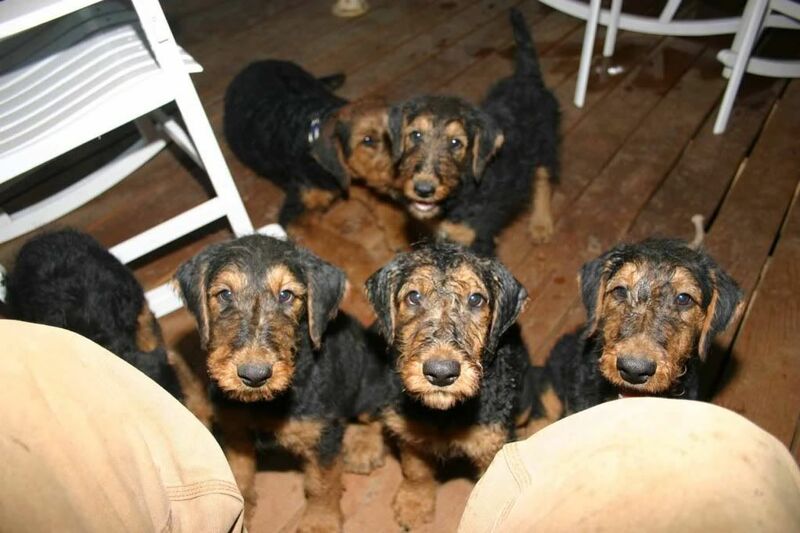 I key a large portion of an individual puppies training based on what I learn about it here. I put hunting his first year in the exposure category and do as much of it as I am comfortable he is ready for. 2 obedience-it is a given that I will start all puppies with a strong obedience foundation their first year. I teach obedience in the yard, away from all birds and field work. Only after it is learned and reliable, bit by bit it is isolated and introduced to field work. If done properly, a lot can be accomplished without the dog formally realizing it is becoming trained and a lot of battles can be avoided. 3 upland birds- should be fairly instinctive to a young bird dog. A lot will take care of itself with enough exposure as long as you are smart about what you do and mindful that you are dealing with a puppy. I want to put a puppy on birds early and often and what comes next will be keyed on what I learn through exposure. 4 retrieving- To include competent handling requires the handler and dog to build an intricate pyramid. I spend a great deal of time in a pups first year establishing a strong obedience foundation as a base for that pyramid. I also focus on peaking rather than inhibiting desire. The puppy is also exposed to as much as I think he is ready for as a puppy. I like a dog that appears to have been there and done that and takes what ever he is put in in stride. So I try to expand his comfort zone. 5 tracking-should be pretty much hard wired concerning upland birds. I also like to train a little for blood tracking. A pup should instinctively track game. My challenge here is to make it clear to my pup that I want a "blood dog" I can put on blood and say "find it" rather than a deer dog. This gets the least attention and simply exposing the pup to enough tracks that emphasize blood and rewarding success will put the pup well on the way his first year. A lot can be accomplished in a puppies first year with very little pressure and a lot of good habits formed without a puppy realizing he is being trained. A logical progression minimizes the bad habits that I will need to fix using pressure down the road. Too much of that is how he will end up with my fingerprints. Early training gives me the confidence to pick up my shotgun and put the pup on the ground and let him roll his first season. I hunt a young pup as much as I can his first season. I think the pup gets more out of it than any other season. hicntry wrote: I am definitely doing everything wrong. I never have to reinforce a command because I never give commands to a pup. I don't raise them in the house to create that magical bond. I don't spend more than 10 minutes a day with them and seldom ever pick them up. They are never crated or wear collars. Never give treats to reinforce or to bribe them. Yet....they learn quickly. Maybe not all perfect at first but they will be. So, why do I point this stuff out? The why is so people new to dogs might start questioning much of the advice they get. For instance, why is keeping them in house, picking them up etc. believed to create that bond???? The Super Dog theory was debunked years ago. Think about it. When was the last time you saw a dog pick up another dog? It makes people feel a lot better than it does the dog. And that is just one thing out of what could fill several pages. 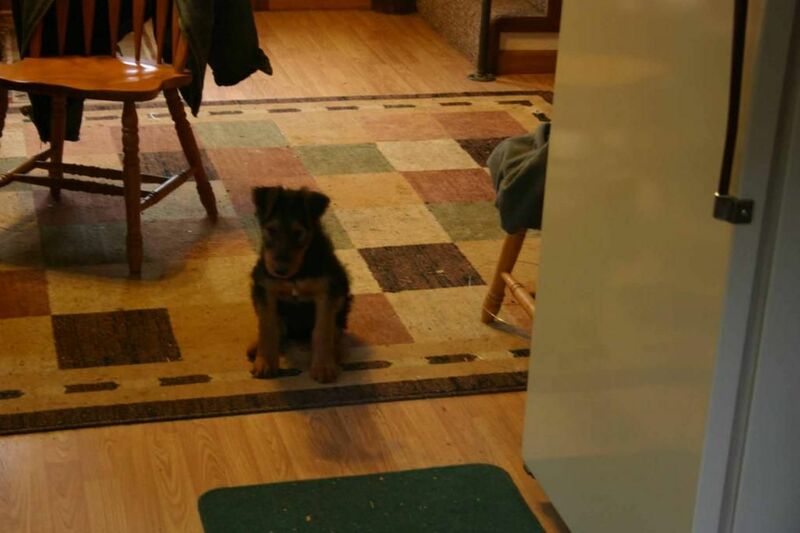 Even a 10 week old that has spent very little time in the house knows the kitchen is off limits. It would be interesting to see someone never do any of these things and pass a UT test or even have a well trained and efficient dog in the duck blind. My point is you want something different as the end product when it comes to dogs than 99% of those on this board. Just makes generalizing the way you do things to the rest of us a bit less relevant. You raised dogs to do the work of hounds who need to be ultra independent. Most of our goals are different. All the training is good. We all have different methods of doing things. Learning different methods is good, what works for one dog doesn’t work for another and now I have tool bag to go to so I can try something different. When I first entered the VD world I didn’t have a clue. My first dog was taught to sit, stay and fetch. We shot and retrieved lots of birds, from shatptails and pheasants to ducks and geese. That dog just hunted. I will honestly say it had more to do with exposure to wild birds than anything. I now train differently, because I have done the NAVHDA testing. Dogs are much more obedient and controlled but that training does take some away from that natural hunting drive. I now strive to find that balance. IMHO hunting wild birds and hunting training are different. Yup, I’ve seen a few utility dogs that needed a bit of untraining to make good hunters. Their discipline was such they were hesitant to step outside that training and a few dogs I wondered if they’d ever smelled a wild bird? The NA pups in E. Oregon and Idaho are much better in search than W. Oregon dogs but this is an owner issue. In E. Oregon, there is hunting at everyone’s doorstep and living on the West side, everyone has to travel to hunt and not eveyone is willing to do so. Meridiandave wrote: Let me rephrase the question. Is it possible to overuse launchers in your first year? When we use a lot of launchers rather than letting dogs run on wild birds hunts last minutes rather than hours. Do dogs develop a lot of drive when things are that easy? Yes. If your dog is flagging on a launcher, it knows this is a game and you aren't doing anything productive now.
" You raised dogs to do the work of hounds who need to be ultra independent. Most of our goals are different. No JTracey, the great independence my dogs posses is breeding, not raising. Independence does not preclude being great dogs in the field, even for birds. That largely depends on the handlers ability. Regardless of how unorthodox my methods of raising pups seems to most, all of those pictures show one thing clearly that no one mentions. As independent as my dogs are, the pictures show a high level of, what do you folks call it,....cooperation. Obviously one doesn't negate the other. Now, trying to keep on topic, poor handling when young could ruin both the independence and the co-operation. This is where I was going with this thread. First, I am an advocate of using launchers and pigeons for introductions and early training. This thread is a matter of some people condjtioning their dogs to easy success. As far as wild birds being available. Yes, but that is not a problem here. I have seven species of ground nesting gamebirds within 1 hour 15 minutes of my house. Nine if you want to travel 2 and 1/2 to three hours. This point comes from watching a couple of local folks. One is a local griffon owner. She ran birds on launchers for the test. Got a great score, but when she went hunting the dog literally stayed at her feet. It had no idea how to hunt. The other was a local guy who had a great shorthair. All he would ever do with it is run on launchers. At the end of its first season my friend asked, "how did it do?." He responded well it would hunt hard for 20 minutes and then just kind if hang out. My friend had tried to tell him to go and hunt. We felt that the dog and not learned this hunting thing is work. The dog had been conditioned to expect bird contacts early. We tell people we know all the time. Run your dog. Take it to x and walk around for an hour or two. It may see birds it may not, but let the dog hunt. Anyway thanks for responding and keep doing it. At our training nights we run 15-20 people on launchers in a few hours. We can't take them for long sessions, so launchers are put close-ish to the trucks. It's important to remember that we aren't teaching the dog to hunt with launchers, we're teaching the dog manners. It's up to the owners to take pup into nature and let it's instincts come alive. I personally think a dog could be on launchers it's entire first summer with no ill effects, as long as the owner hunts the dog in the fall. A dog that only ever sees launchers will inevitably have issues. I think this thread somewhat speaks to a larger issue of training for the test and training for hunting. While there are a lot of similarities there are some things required for the testing I don’t expect or even want my dog to do when hunting. I use launchers as well, but there is no expectation of having launchers producing a finished dog. Over the past year I have got train with a lot of good trainers. I have helped a friend do a puppy intro training for clients. Early on we use lock wing kill pigeons to get the puppies birdy and pointing. Then move to foot traps and then launchers. In the launcher portion I will get the dog a proper intro to gunfire. While we do the gunfire we allow the puppies to chase and retrieve pigeons. The last pigeon the puppy will retrieve from water. About that time it will be hunting season or soon to be. My puppy will be running and then hunting. No launchers or anything until the hunting season is over. That is five months. Hunting is my training. After season #1, I would get ready for the NA test. Probably run on launchers the first training day. After that we put the launchers away. We then do exactly what Bob Farris describes in his book on pages 112 and 113 as the test nears. I am also swimming the dog every chance I get. After the NA test and first season, I would force fetch. Yes that is a combo of exposure, launchers and free hunting. Next puppy, that is how I will do it.